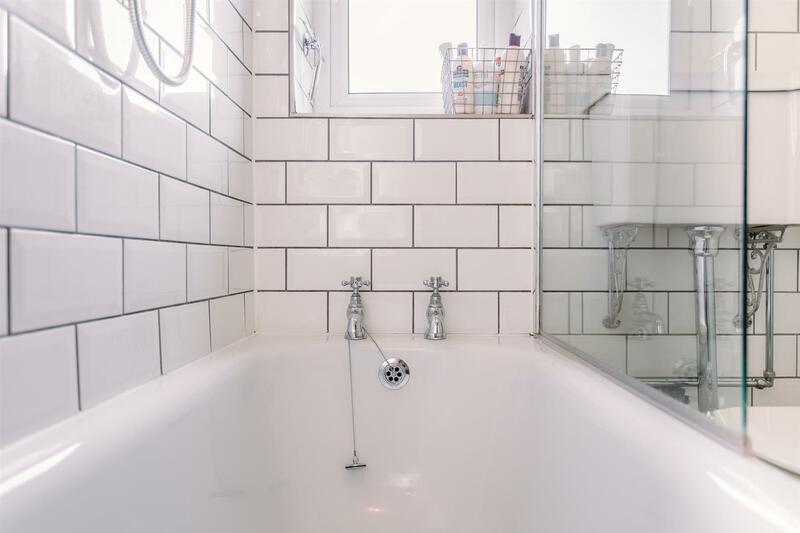 An impressive attention to detail has been extended across every space of this beautiful two bedroom home, ranging from the intelligently created features of the kitchen intended to utilise the space for maximum effect to the picturesque traditional brassware used in the bathroom for a classic yet contemporary interior design. 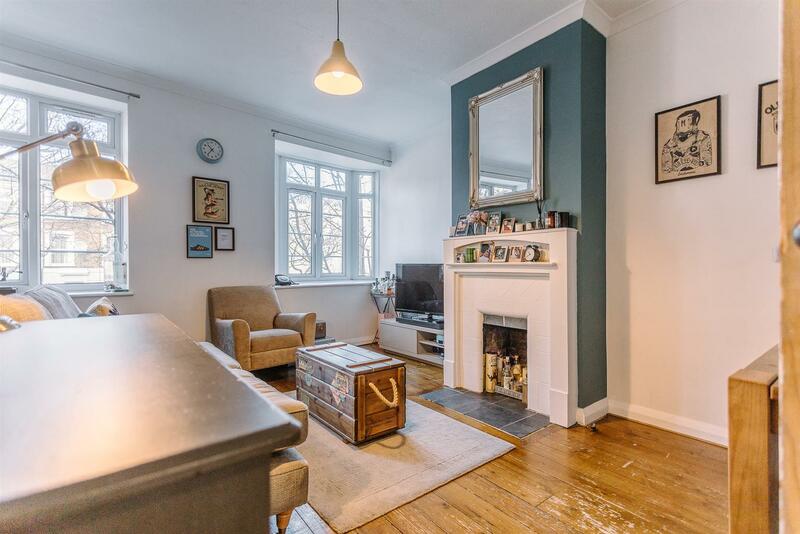 The wooden floored lounge is arranged around a feature fireplace in the centre of the space, adorned in decorative white tile and set within a chimney breast that has been painted in a stylish slate grey. 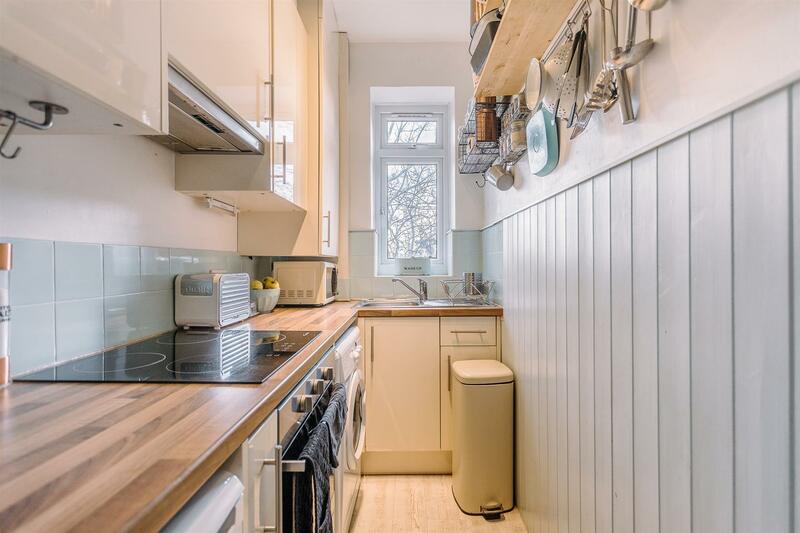 A fully fitted kitchen with integrated appliances and wooden countertops sits across the hallway, where you’ll find tastefully chosen light grey panelling lining one wall of the space and pastel mint tiles forming the splashback across the remainder. 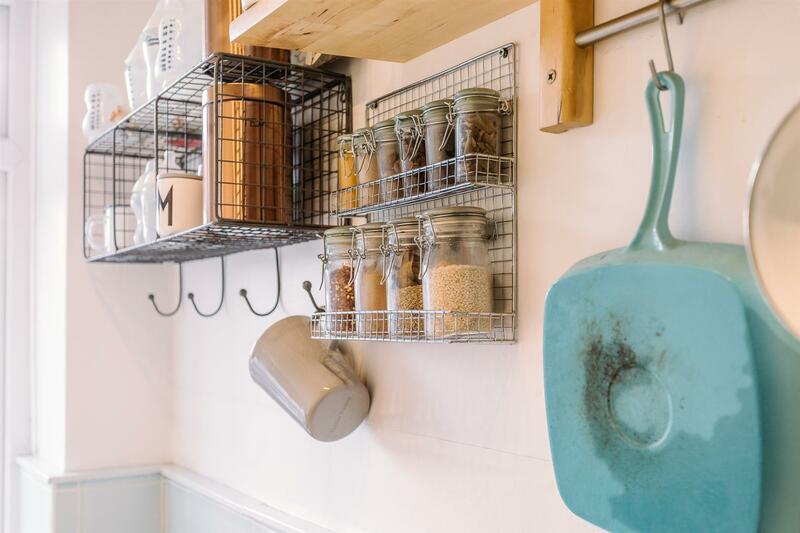 Clever space-saving storage solutions feature in this cooking space, including a wooden floating shelf, a wall-mounted spice rack, and a stainless steel rod with hooks for hanging pots and pans. 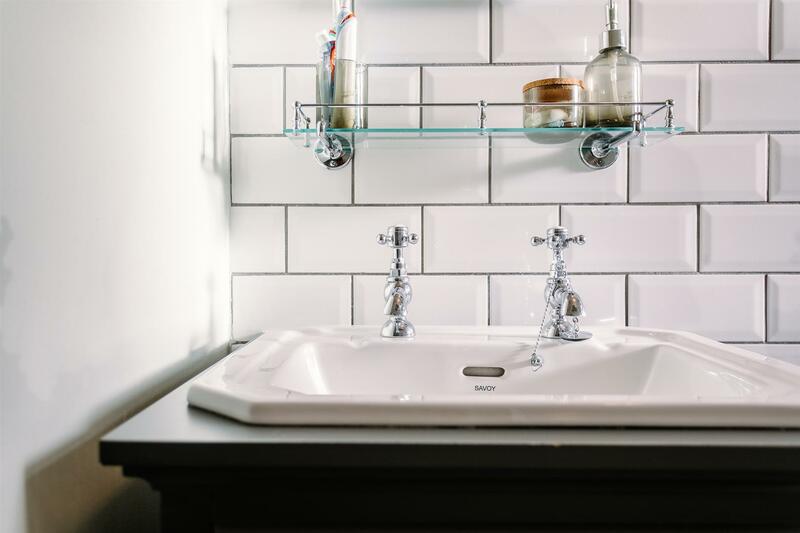 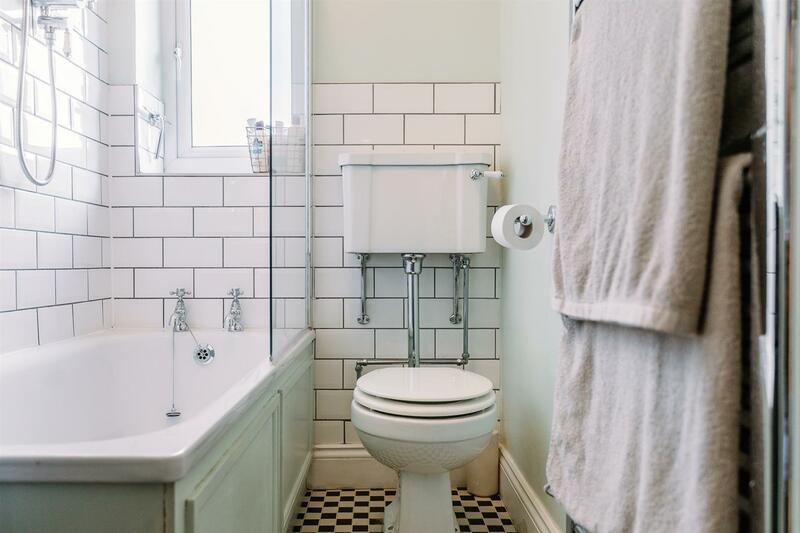 Classic chequerboard tile has been laid across the bathroom, matching white subway tiles, black grouting, and pastel mint painted walls. 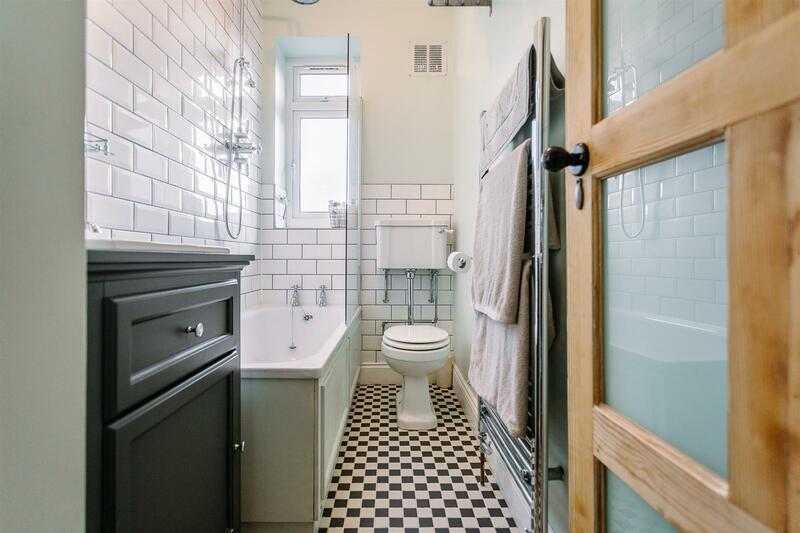 Carefully considered touches of added luxury can be spotted throughout this room, including the Victorian-inspired faucets on the countertop washbasin, the chrome heated towel rail, and the dual rainforest shower mounted above the full-sized bath. 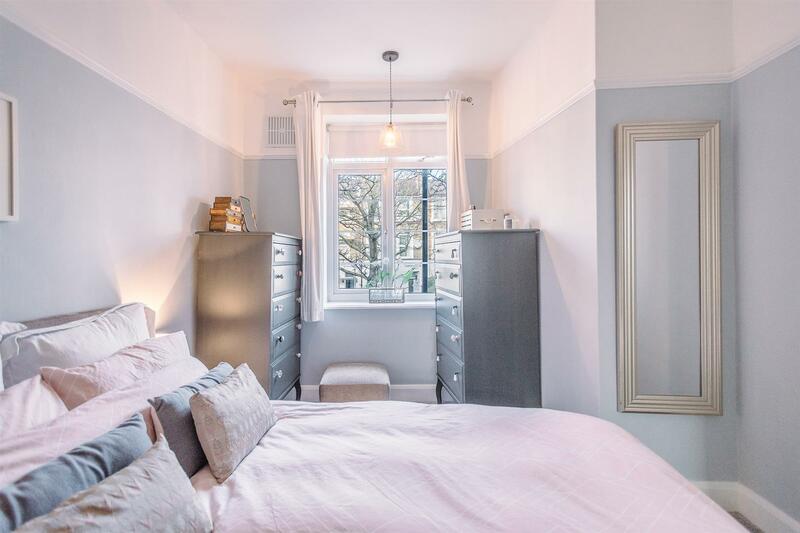 The master bedroom is floored with cosy cloud grey coloured carpeting and painted in an ash grey up to the dado rail, after which features a brilliant icy white. 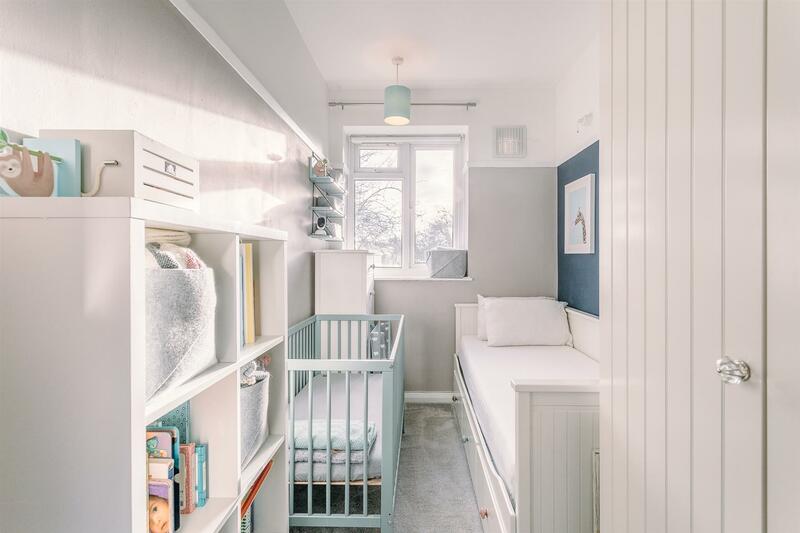 The second bedroom, currently used as a children’s room but equally suited to a guest room or home study, echoes the interior design of the master. 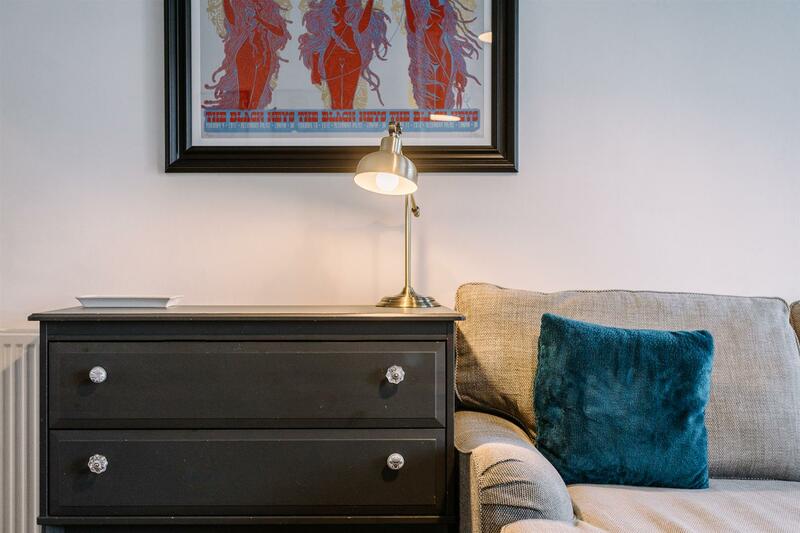 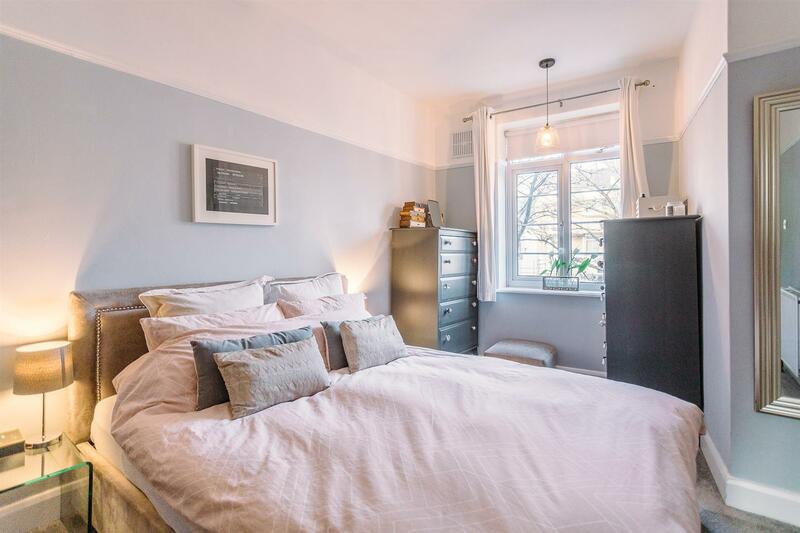 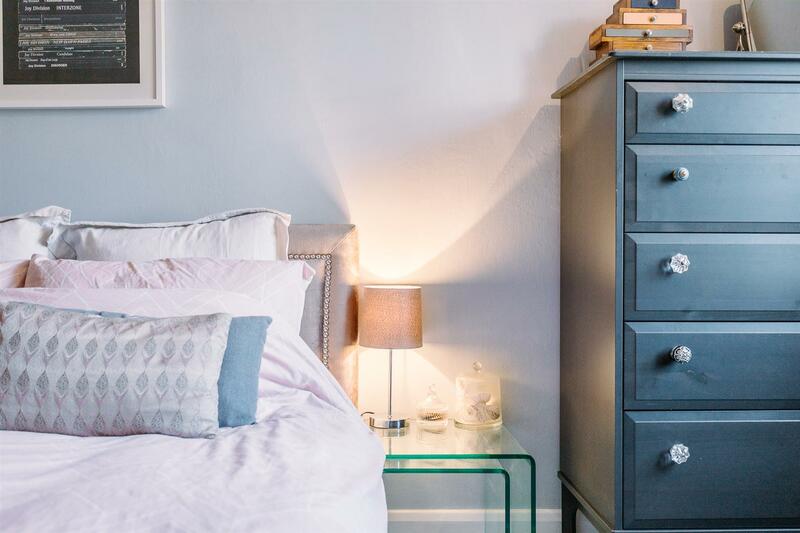 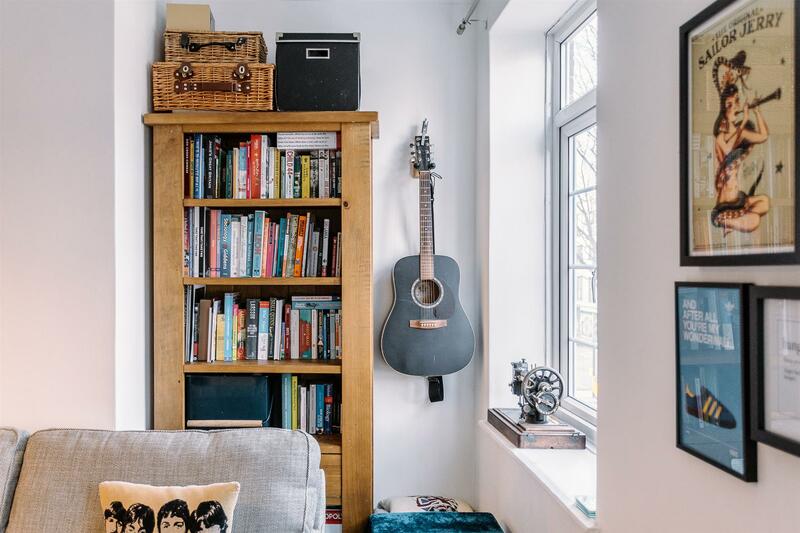 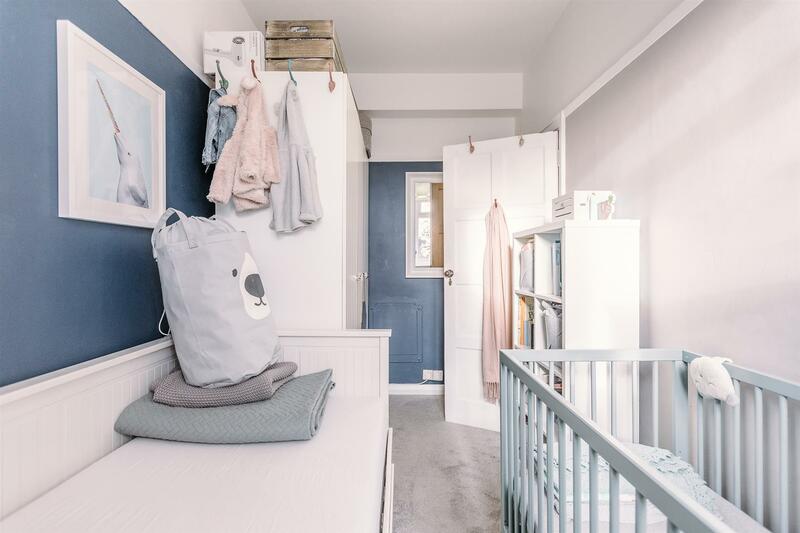 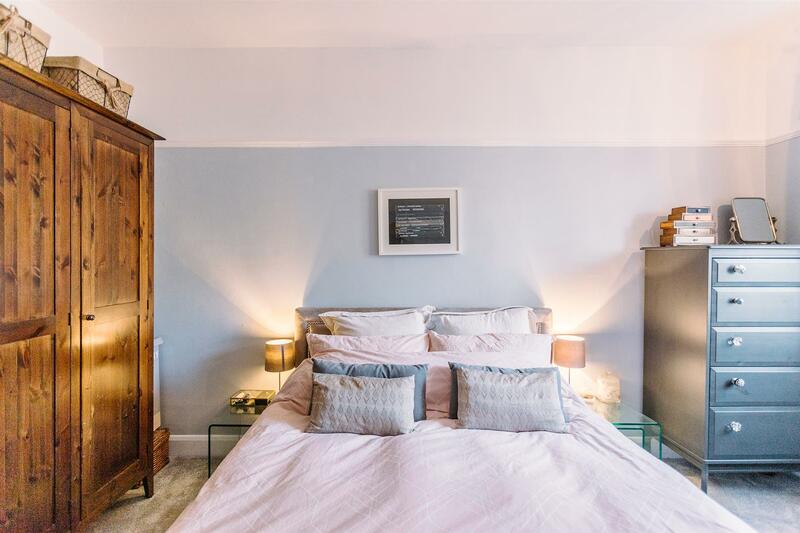 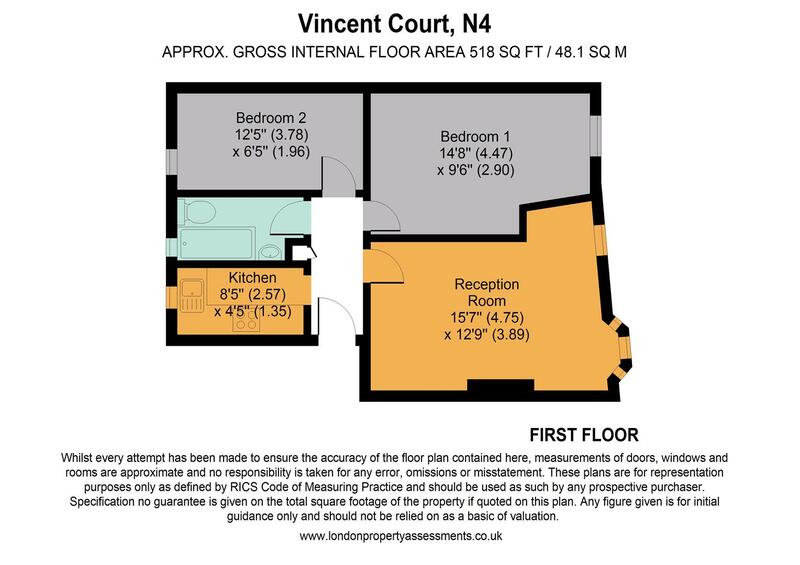 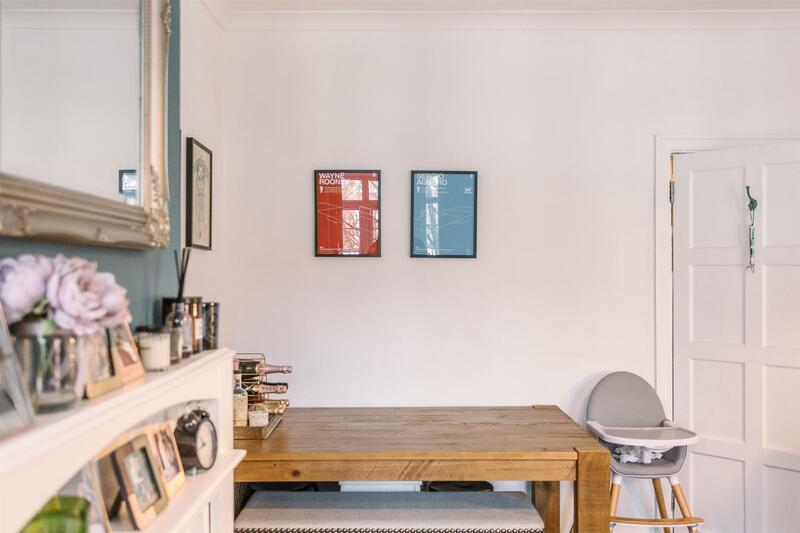 Located just 0.4 miles to Stroud Green Road, lined with award-winning eateries, and a mere 0.9 miles to Finsbury Park Station which is brilliantly served by the Victoria, Piccadilly and Overground lines. 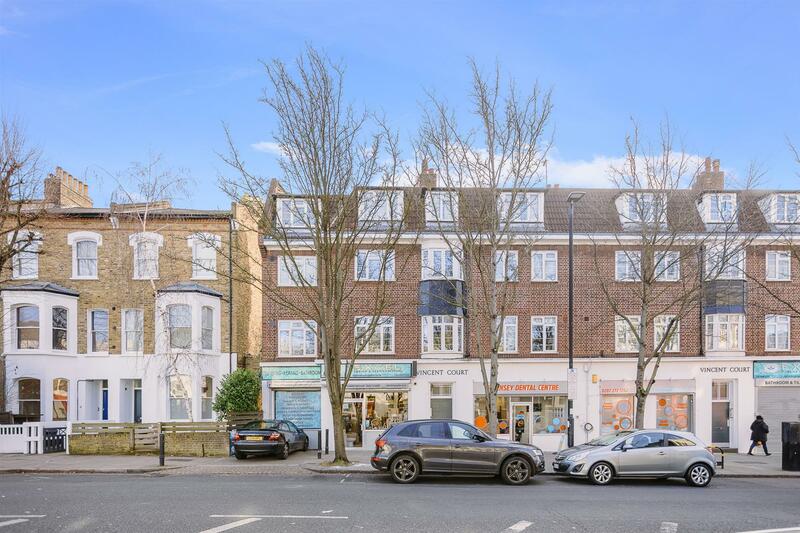 Alternatively, hop on a bus minutes from your front door to be transported to leafy Crouch End or pretty Highgate.